A backless iPhone case that is stylish whilst providing protection? Yes, it can be done. The SGP Linear EX iPhone 4 Case ($31.99) is a two-piece hard plastic case that clips onto the iPhone 4/4S, surrounding all the key areas, whilst maintaining the iPhone’s appearance. Customers can choose a variety of color selections from the “Meteor Series” including a bright blue, green, white and cherry which is then combined with a silver piece to complete the look. The SGP Case also comes with a bonus Crystal Clear screen protector for the back and front glass panels on the phone, providing the up-most protection without taking away from the look of the phone. The screen protectors were easy to apply, just make sure you have washed you hands thoroughly to avoid fingerprints under the film. 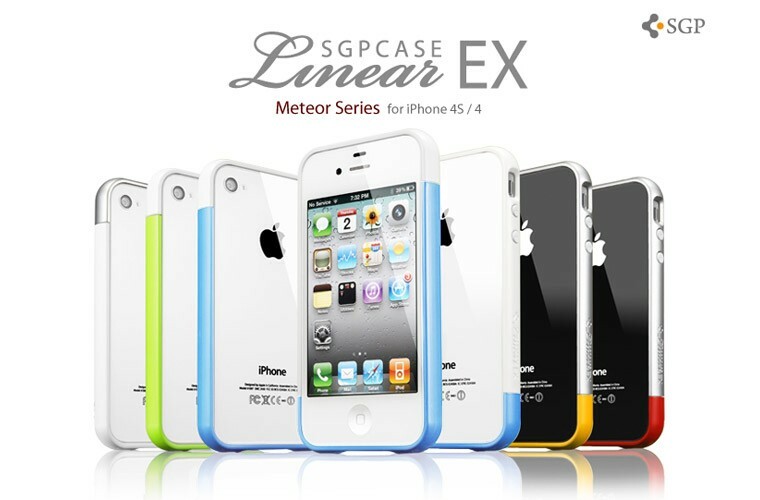 Verdict: The Spigen SGP Linear EX iPhone 4 Case is a sleek and stylish way to add color and protection to your iPhone, with the added bonus of screen protectors.